“As we prepare in our churches and homes for Christmas to arrive, we are moving through Advent. It is a time of waiting, expectation and preparation. However, being human, it is also a season of stress and worry. 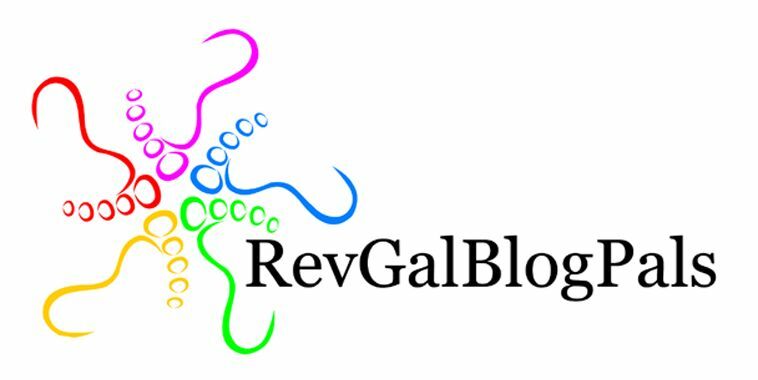 I confess to you, gentle reader, that I have not had kind thoughts in my head this week at church when people from more than one Christian company (think curriculum, worship supplies, etc) called the church to sell me things. I know these nice men and women are just working for a living (which is why I kept my not kind thoughts in my head) but people–know your audience! Pastors, in the weeks before Christmas, do not have time to hear about your special offers on 500 pounds of ice melt or your curriculum on grief. So, moments like that make me twitch. A little. But I recognize the “this isn’t really a problem, so calm yourself down and move on” nature of the situation. I do not like (I despise) the Rudolf the Red Nosed Reindeer story. Santa is a bully who allows a culture of abuse and disrespect–until he needs something from the reindeer he has mocked and despised. 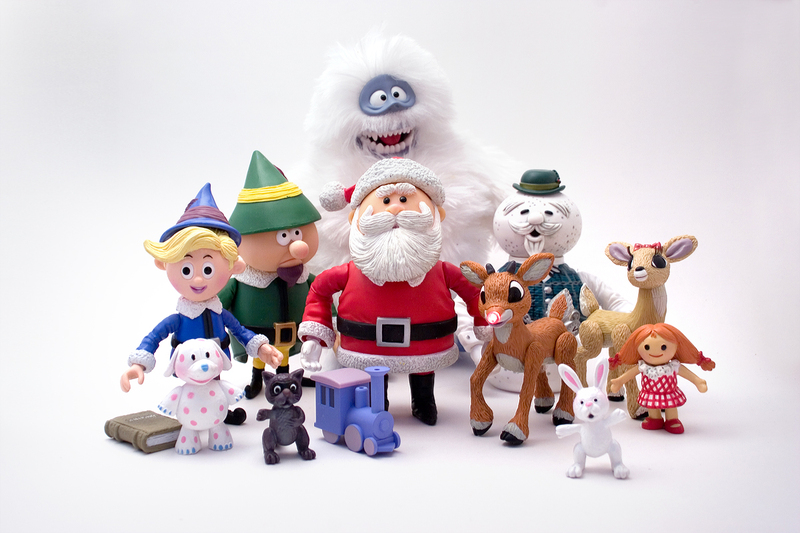 at least the claymation was well designed. I’m thankful to be in a family that is flexible about how Christmas is celebrated. Maybe it is a condition of all Preacher Kids, but my PKs are great. After Christmas Eve worship services are over (and my kids attend both of them) we go out for Thai food, because I clearly do not spend any time preparing food on Christmas Eve. And Justin will be on-call for a fair amount of the week, so we may end up opening gifts at odd times when he is around. Grateful for my kids who go with the flow, especially at this time of the year. 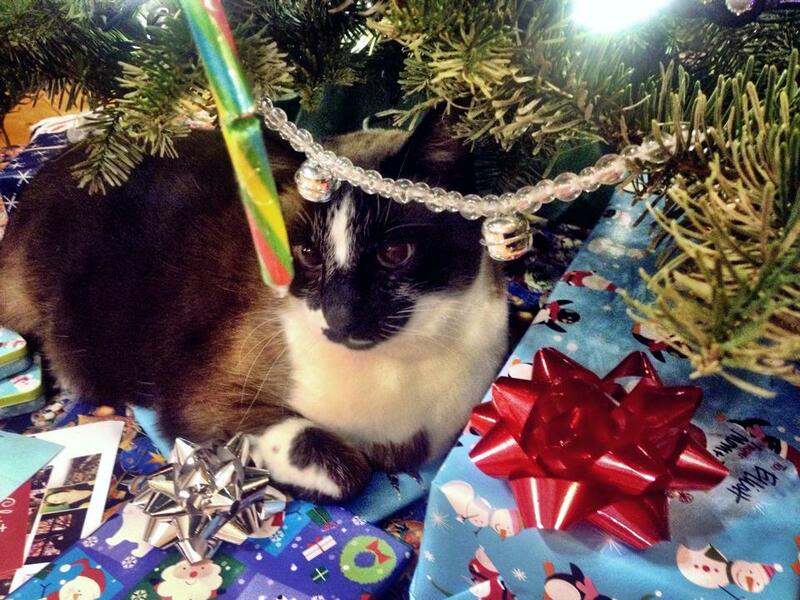 There are gifts under the tree, but not too many. And I’m thankful for family who realize we already have all we need. (more than we need). I’ve discovered over the years that my time will get filled up. And so, as much as I can, I try to make sure it gets filled up with the right things. So, yesterday, I had lunch with a colleague I don’t see often enough. Tuesday morning, I had second breakfast (first breakfast was at zero dark thirty with Men’s Breakfast) with two other colleagues I also don’t see enough. 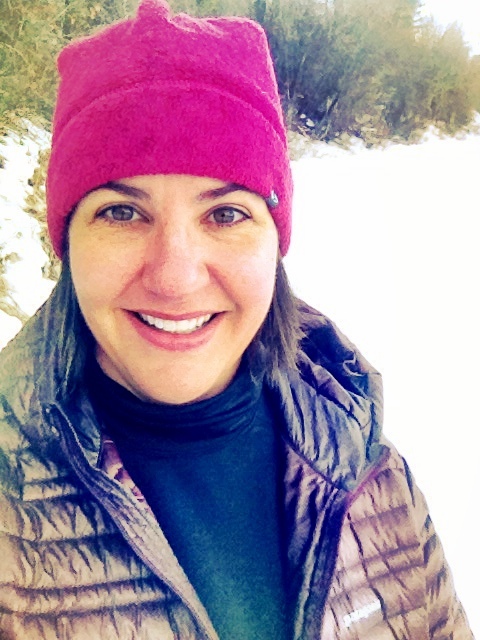 Wednesday I went cross country skiing in the morning and then worked in the afternoon/evening instead, which allowed me to rise above Boise’s inversion (which topped out at 4,000 feet) and find some sunshine. Were there other things I “should” have been doing? Probably. But I don’t like the word “should”. And my schedule this week has kept me sane and helped me not yell at random telemarketers, so there’s that. And I trust the things that have to get done will get done. I’ll go to Elliott’s indoor soccer game this afternoon instead. We have lots of awesome kids at church these days. And they say funny stuff. And they show me grace and love and joy. And they have taken over the Prayer Center in the front of the chancel and made it their own (and then share their great art with me). 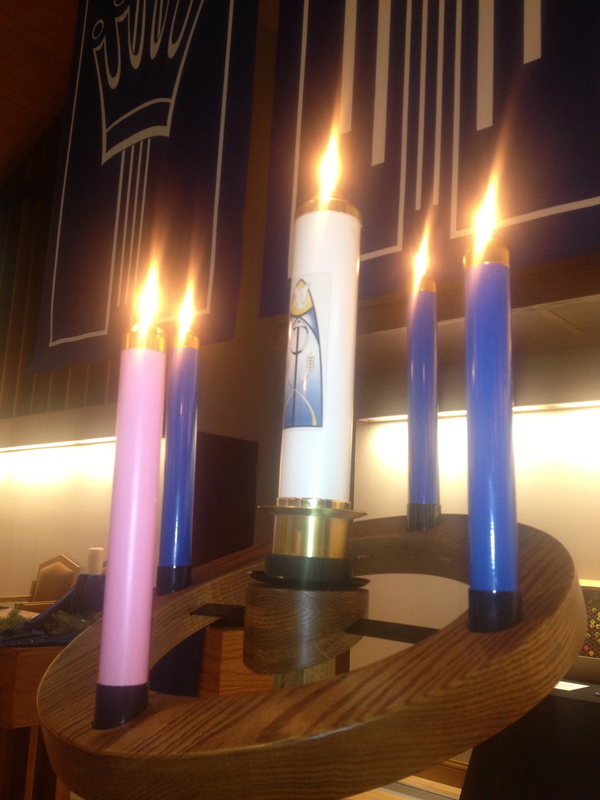 This past week in the Time with the Children, we were talking about the pink candle in the Advent wreath, and I asked if anyone knew what the pink candle symbolized. Yes, Tyler. Yes it is. which is the candle of craziness? And so when it needs to be about more than JOY, we choose to believe it is also about holy craziness. 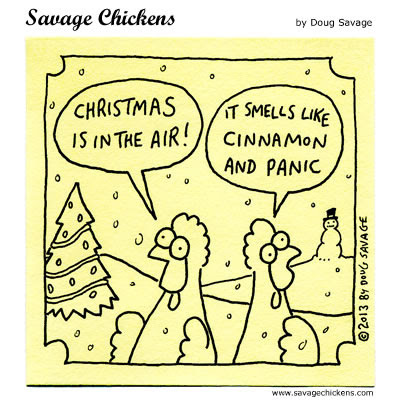 I hope your holiday season is filled with the good kind of craziness, some cinnamon, and only small amounts of panic! December 20, 2013 in Advent, Friday Five, Reflection. I love your sense of freedom, which I hear, running through your post. Such a gift. Thanks Elaine. Yes, that’s a good word. Grateful for freedom, in many ways. Hope my PKs still love the church at 42! Merry Christmas! Merry Christmas and much sanity to you! Never liked the Rudolph story either – someone totally ridiculed & ignored until a use could be found for him/her- how sad & don’t you wish Rudolph would have just flown away & left them all to their own devices! But at least he was welcomed afterwards! Oh well, such is life, it seems. Let’s make Christianity better than that! Thanks Carol. Yes, it would have been a much different story if Rudolph had just left them where they were. Guess it is good he got some redemption! I’m not much of a deep thinker. Never thought much about Rudolf, but get the point. Good thoughts on the season. You are actually a quite deep thinker! Merry Christmas to you too!